I interviewed Pete Seeger and a number of other musicians, swapping songs and stories about music and songwriting for children. As host of this radio program, I got to share songs and conversation with many pantheons of the music world–as well as a few rising stars. Each interview lasted about an hour and I am grateful that so many artists and performers agreed to talk about their craft with me. I have posted information about some of the artists here and hope to offer more excerpts from these engaging conversations soon. 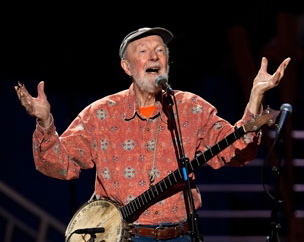 Pete Seeger and I chatted in the Spring of 1990–and he began the interview by announcing that he was seventy-one years old. He was gracious enough to share his stories, songs and time–and when the interview concluded, he spoke for another half hour as the tape rolled. 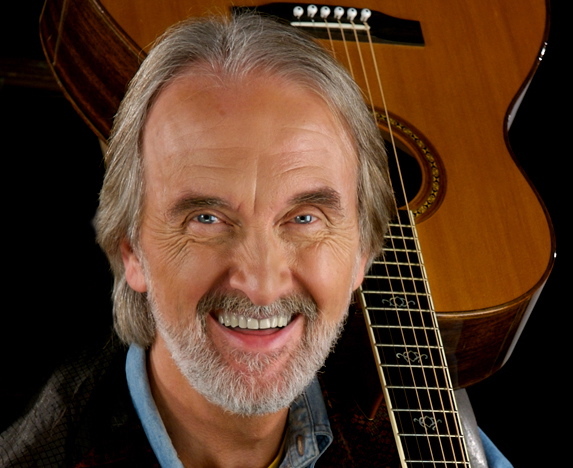 I had his albums when I was young and heard him sing in person for the first time in 1970. 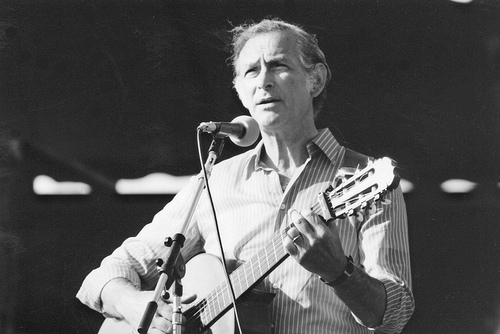 Like many of my generation, Pete has always been a inspiration to me, singing his personal, political, and heart-felt songs in a genuine and honest way. Here is a short excerpt from that interview. 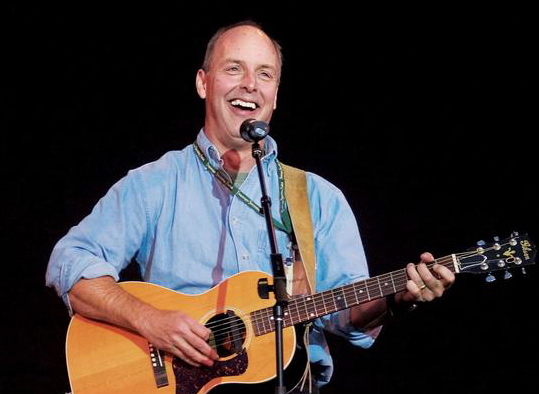 Oscar Brand is a folk singer and radio host who interviewed me a few times over the years–and, in 1990, I was able to return the favor. In addition to hosting his own radio show, Oscar was the curator of The Songwriters Hall of Fame where he had my original recordings archived. Oscar was involved in the initial workshops that produced Sesame Street and he told me that the producers originally planned to set the show in the country amid bucolic meadows and fields of flowers. Oscar argued that the show should be set in the city and show trash cans and garbage. He seemed to take a lot of pride in telling me that when the show finally aired, there was a character named Oscar the Grouch–and he lived in a city trash can. I had a chance to sit down with Oscar for an hour long interview about music and his career. Here is a short excerpt from that interview. 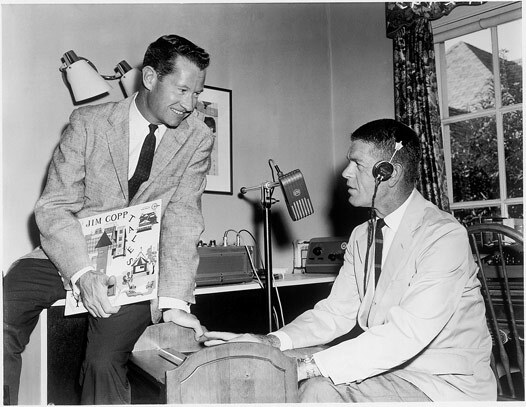 A few years after releasing my first recordings for children, a fan in California wrote to me to say she had two favorites albums–one was by me and the other was a record by Jim Copp and Ed Brown. 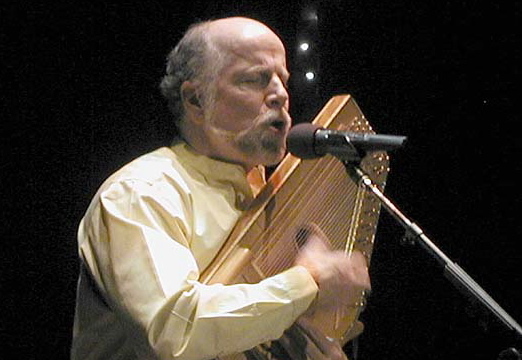 I immediately began searching for the albums that Jim Copp made with his partner, Ed Brown back in the 1950s and 1960s and I credited Jim as the inspiration for two spoken word pieces I wrote and recorded in 1978: The Poetry Lesson and The Man and the Chicken. Looking back, I think the innovations that Jim Copp and Ed Brown created with sound were partially responsible for my use of multi-tracking my own voices when I created The Barry Louis Polisar Self Aggrandizement Choir. In 1990, I had the chance to sit down with Jim Copp and talk about his career and work and here is a short excerpt from that interview. 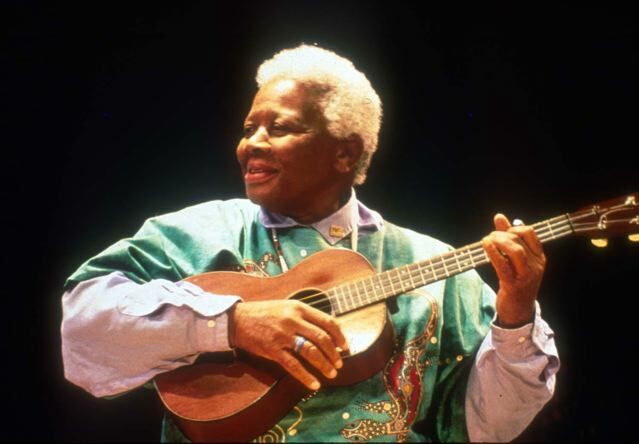 Ella Jenkins has been called the “first lady of children’s folk music.” She grew up on the south side of Chicago and began recording music for children in 1956, performing school assemblies in the United States. A year later, her first album was released by Folkways. One of my personal favorite interviews was done by phone with Jeff Warner and Jeff Davis while they were on tour in the midwest. We talked about the folk process and their natural humor and ease was apparent in our conversation. 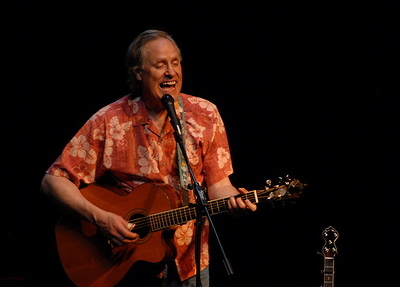 Tom Chapin has recorded and released a series of children’s recordings but his musical roots go back a long way. In his early years, he performed with his brother, Harry and I caught up with him right after a concert appearance. 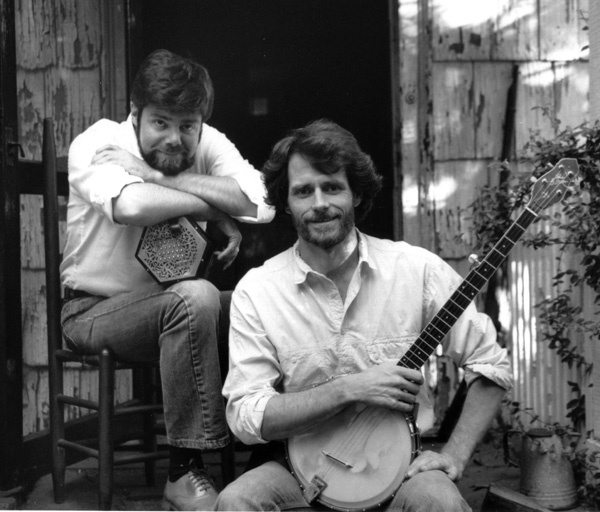 I’ve known Bill for many years and our conversation was a lot of fun as we compared songs and swapped stories. Bill’s wife Debbie told me that finding my record albums in their local library inspired Bill to strike out on his own as a story-teller and songwriter. Clearly, if I could have success with my off-key singing and out of tune guitar playing, someone like Bill could go far…and he certainly has! 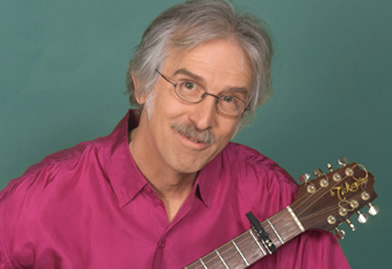 I had a great conversation with Canadian children’s singer and performing artist, Fred Penner. It’s amazing that these interviews were done twenty years ago. Additional interviews included conversations with John McCutcheon, Charlotte Diamond, Mary Miche, Tom Glazer, Linda Arnold, Hap Palmer and so many others.